There’s a lot of buzz and controversy surrounding the next event Success Resources will be organizing… For one thing, the movie based on the life story of the keynote speaker has been banned in Malaysia! I’m sure some of you have seen some clips from the movie leaked on the Internet but so much more about him is a mystery. 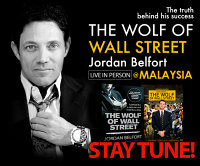 Jordan Belfort, the Wolf of Wall Street himself will be appearing LIVE and in person in Kuala Lumpur in July 2014. 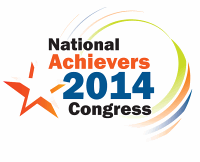 Remember FREE Gold Tickets Giveaway for National Achievers Congress 2014 contest that 1-million-dollar-blog sponsor last April? I was there and the event was excellent. I hope all the winners found it good as well. Judging by the crowd turn out at the National Achievers Congress Malaysia (NAC) 2014, the 3-day event was a tremendous success. Held on 23rd – 25th May 2014 at the Malaysia International Exhibition & Convention Centre (MIECC), the event was a sold out with many late enthusiasts regretting that they had not purchased tickets earlier. This post is to announce the winners who participate in the Gold Tickets Giveaway for National Achievers Congress 2014, which will be conducted from 23rd to 25th May 2014 at Malaysia International Exhibition & Convention Centre (MIECC), MINES Resort City, Seri Kembangan, Selangor. As mention in the Giveaway post, we were going to have 10 winners. Each winner will get FREE Gold Tickets worth RM697 each. You can see the winners for the contest below. Event organizers will contact you regarding the FREE the tickets. Congratulations to all the winners.